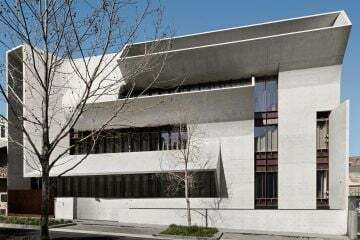 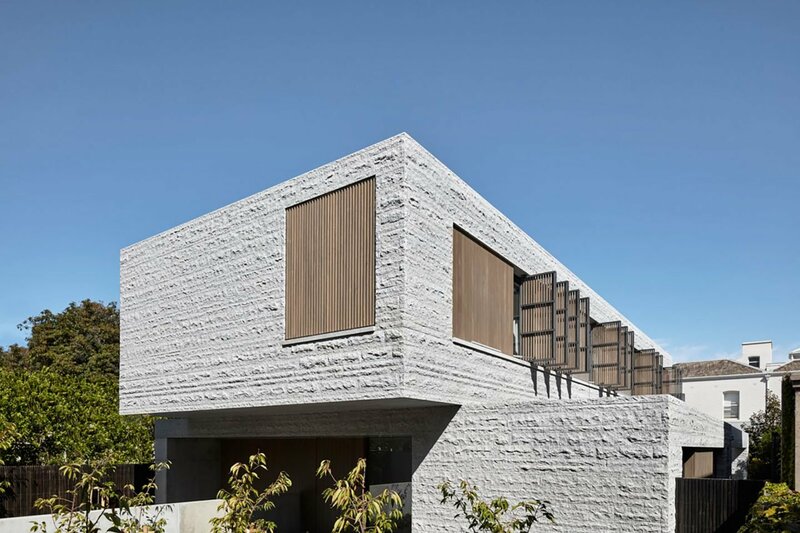 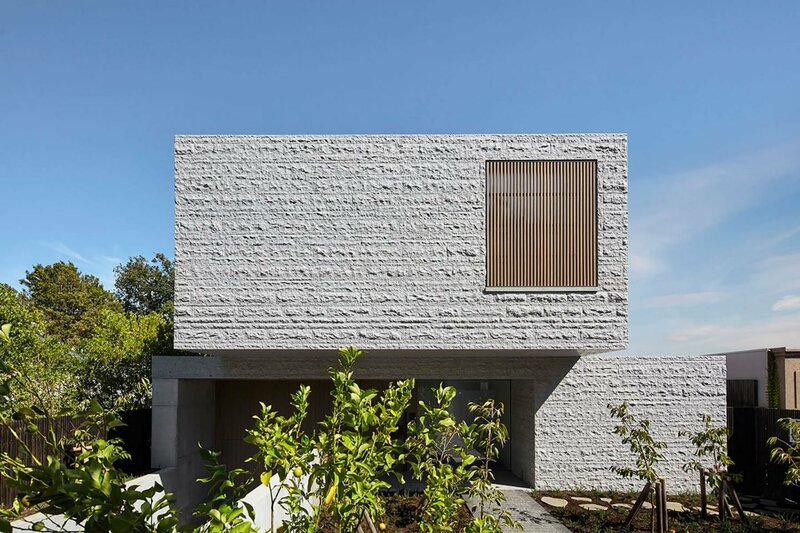 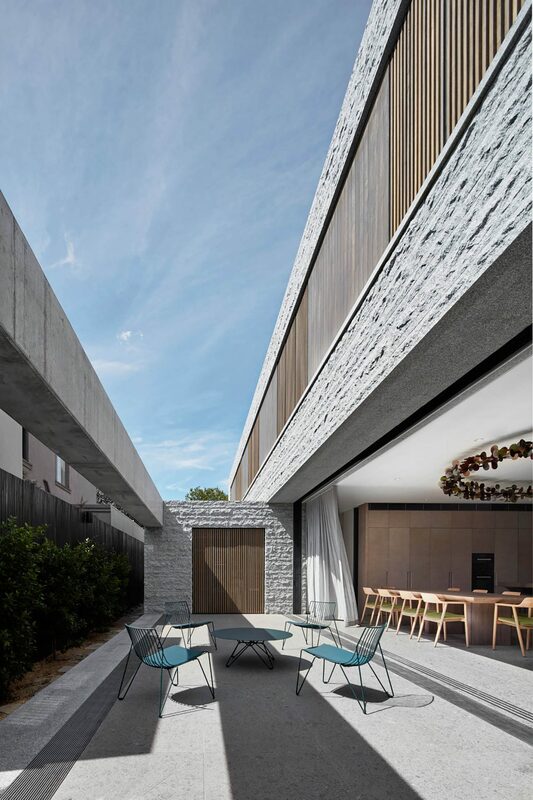 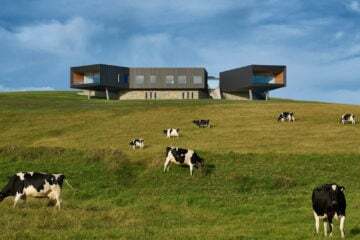 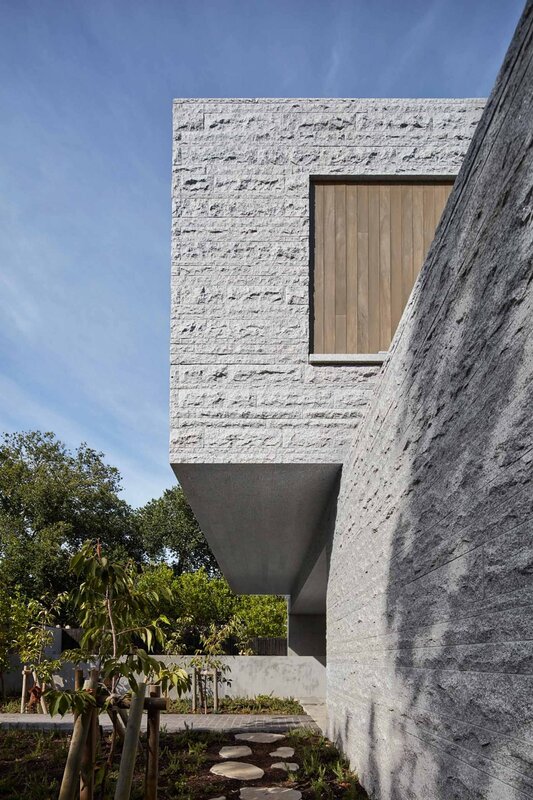 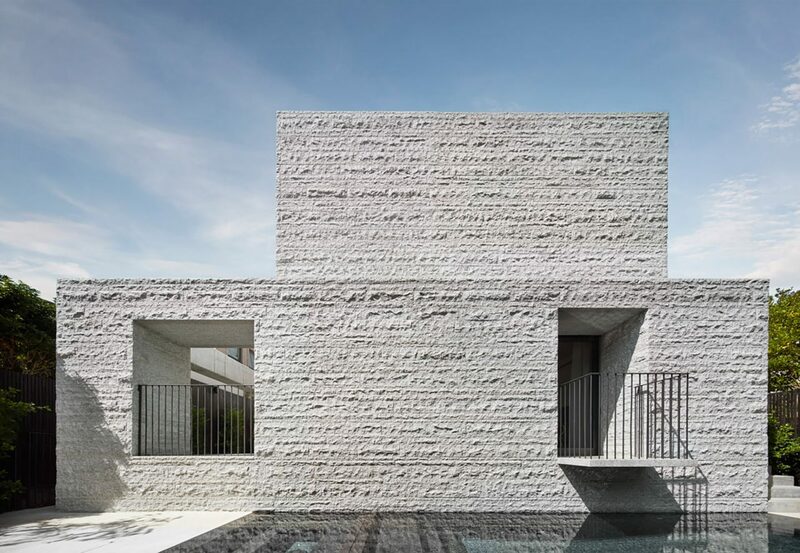 Designed by Melbourne-based practice B.E Architecture, the ‘Armadale Residence’ is made entirely from granite — positioning the three-storey home as both a grand yet understated addition to the urban Australian landscape. 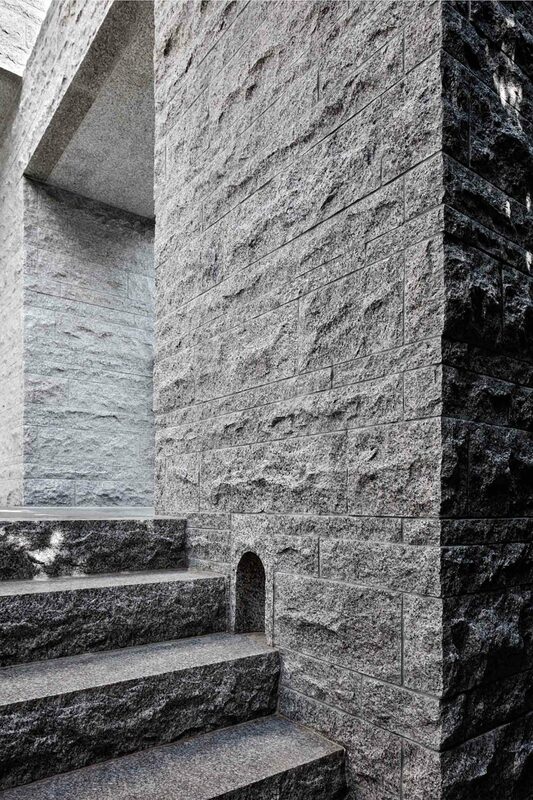 The three different types of granite used harmoniously blend the external and internal spaces, maintaining a cohesive aesthetic in and around the property. 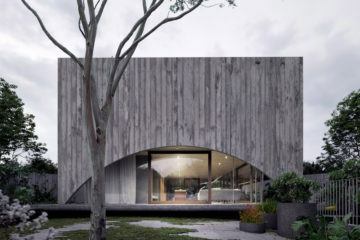 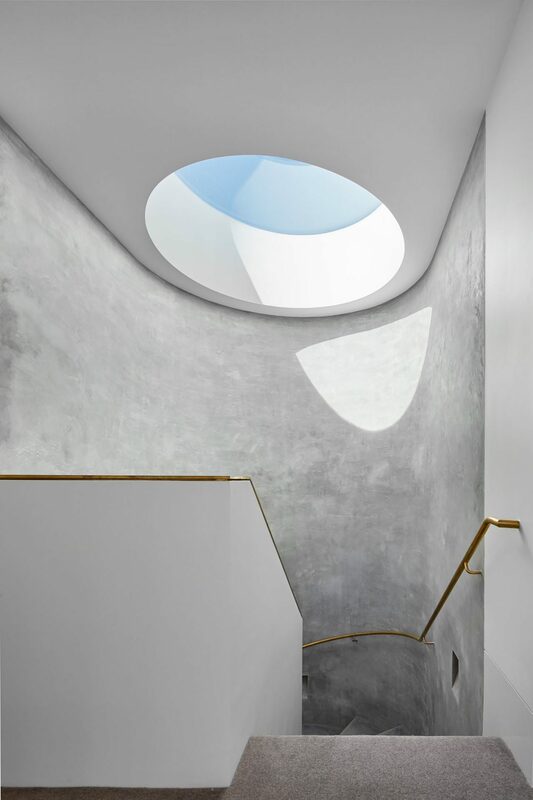 The presence of light was a major consideration in the design of the Armadale Residence. 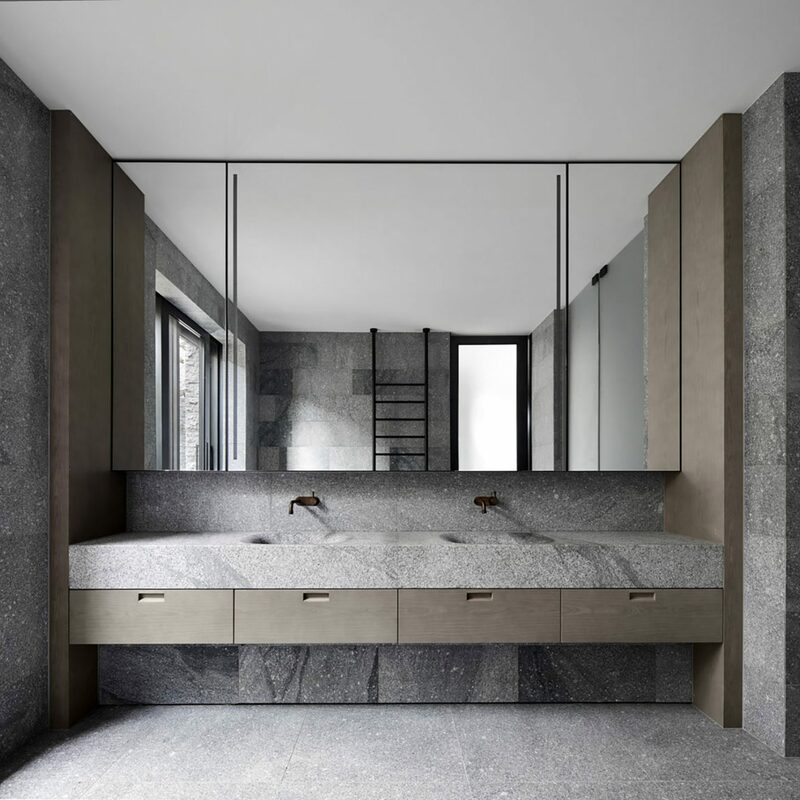 In contrast to the 260 tons of the granite and the rigid appearance of the textured exterior, the internal areas boast an open-plan and serene setting. 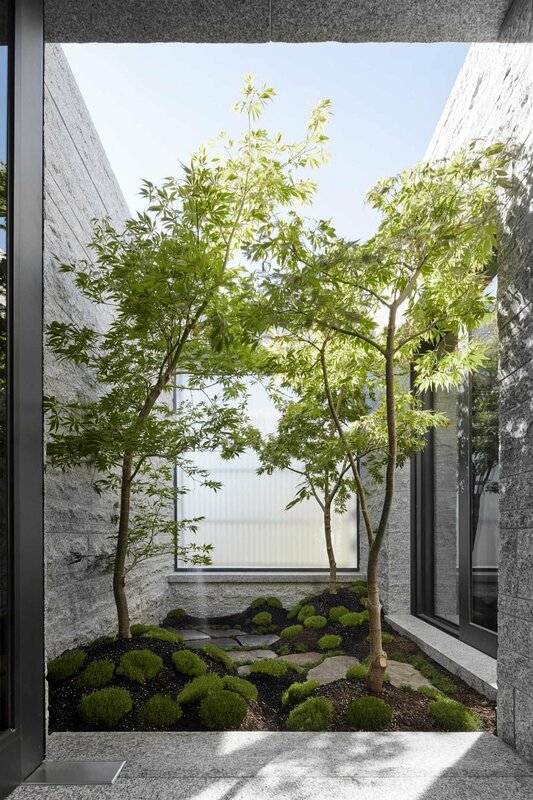 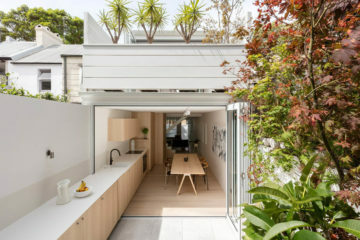 The glass doors of the main living area open onto an elongated courtyard.“The landscaping responds to the clients’ desire to have diverse planted outlooks and terraces without the maintenance of a full lawn,” explains the firm. 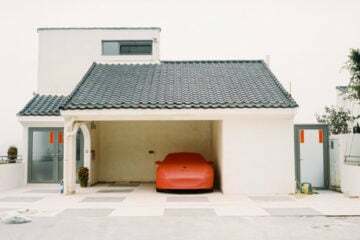 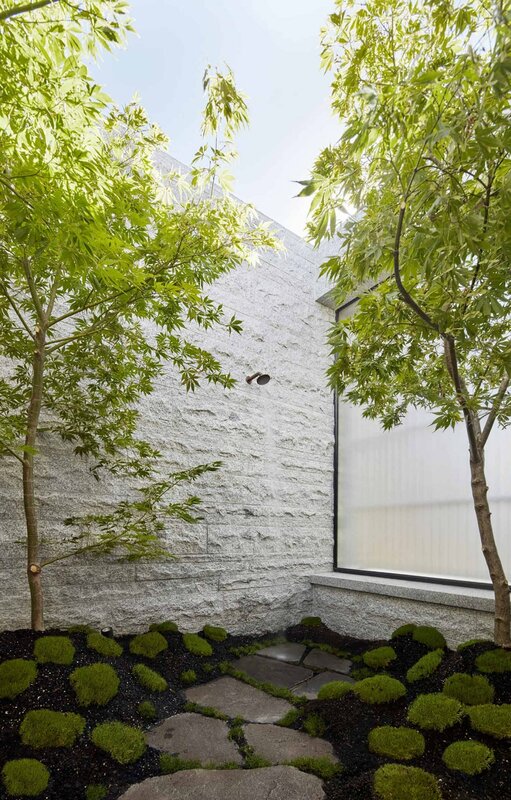 “Behind the privacy fence, giving little away to the street, a grove of Mount Fuji cherry trees underplanted with rosemary greet visitors when they enter the site.” Similarly, a secret secluded Japanese garden, complete with an outdoor shower, is accessed only through the master ensuite. 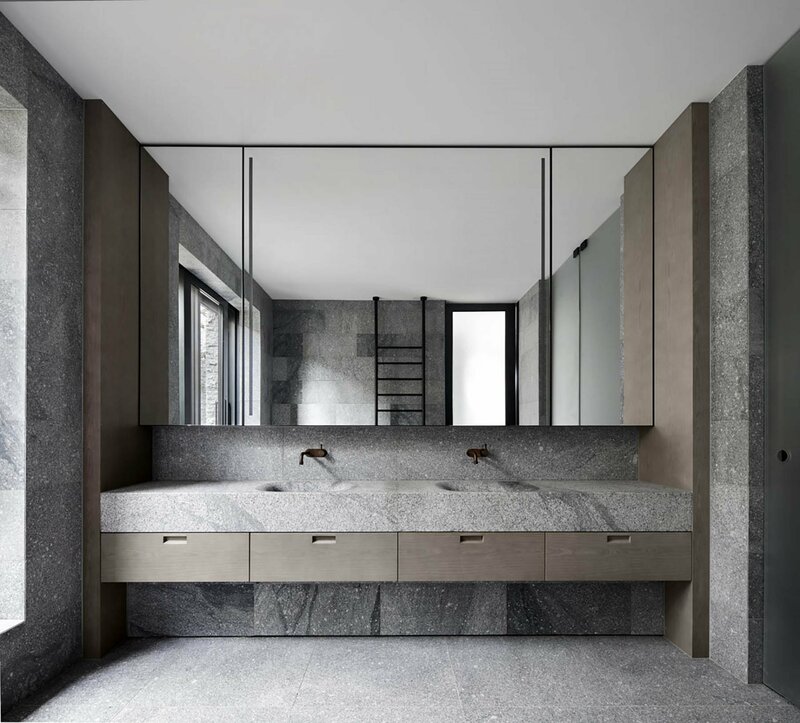 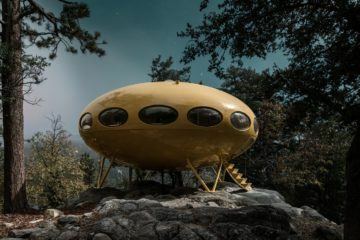 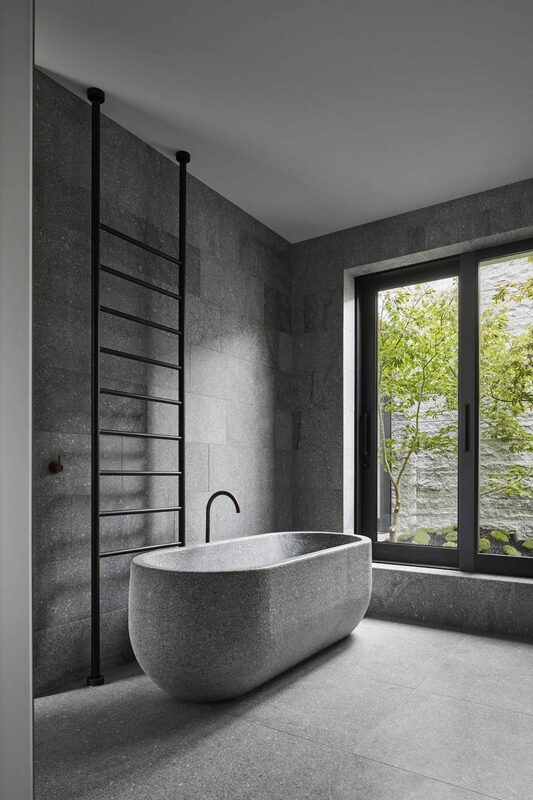 Inside, to maintain a seamless transition from the exterior architecture to the interior furnishings, a custom-made bathtub and basin have been crafted from the same stone as the internal walls and floors.